HP has announced that it will post a giant loss of $8.85 billion (£5.7 billion) in its upcoming quarterly results. 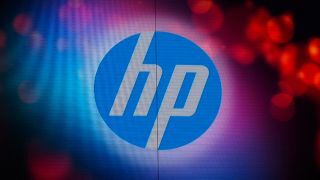 Pre-empting the seemingly catastrophic results, HP has issued a release to explain – the major cash short-fall is mainly down to a one-time charge of $8 billion (£5 billion) related to its acquisition of Electronic Data Systems back in 2008. Other than that, HP's actually looking in quite good shape. The company has upped its share-price estimates based on its restructuring works which seem to be going quite well. As well as shedding quite a lot of staff, HP has appointed some new VPs as part of a plan to "drive profitable growth, service innovation and client satisfaction". The company has had a turbulent 18 months, ditching its Palm-made hardware like the HP TouchPad and HP Pre 3 smartphone almost straight after launch, as well as ditching then-CEO Leo Apotheker in favour of ex-eBay head Meg Whitman. It then ummed and ahhed about whether HP should keep making PCs before deciding that yes, yes it should. Now we're looking ahead to its next round of hardware releases, most notably the Windows 8 tablets like the HP Slate 8 that we're expecting to get our hands on before the year is out.